The need for rescuing orphans grows exponentially here in Guatemala. These needs change depending on the social crisis. "Families are in danger of extinction. But the family is the most important thing the Lord has given us," says Edgar Sagero, assistant director, at Casa Bernabé. Casa Bernabé is an orphanage nestled on a mountainside on the outskirts of Guatemala City. Edgar Sagero is a success story of the ministry that serves orphans, abused children, and their families. "I never left!" Edgar says. He was rescued off the streets as a child, grew up at Casa Bernabé, and, now, he's a leader giving back and making a difference in a new generation of children's lives. When a child is in crisis or reported abused, child protective services brings the child to Casa Bernabé. "The staff meets children on the worst day of their lives," Edgar says. "Only God can heal these kids hearts." Lisenced Christian psychologists walk through the process with children brought here. Children are resilient and adjust to life at Casa Bernabé quickly. The 26 acre compound is a self contained little village with a school, a church, and several houses for children to live in with house parents. House parents accomodate 12 children in a family environment. "We want to make them feel like they're at home; not an orphanage," Edgar said. "They feel like they're in a family with brothers and sisters." The goal of the ministry is to work with families to reunite them with their children. Casa Bernabé takes families through practical and spiritual family skills curriculum based on biblical values. Casa Bernabé teaches children a vocation like computer skills at the high school level. As children age out of the program, the ministry works to get them into higher education at the university level through scholarship programs. 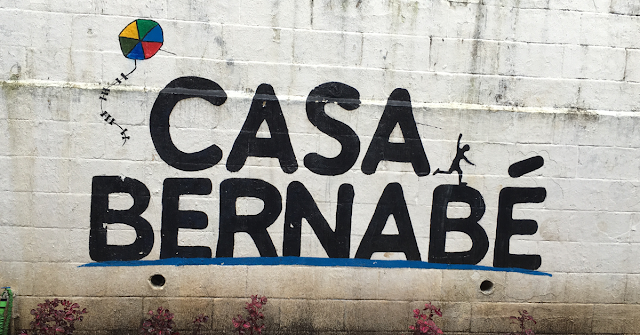 Casa Bernabé is set up to host short-term mission teams. Email gcruz@crossinternatioal.org for more information. This article originally appears on Cross International Church Connect.